I while back I experimented with water dripping from my kitchen sink, and I did a lot of reading about high speed photography. Even though I really dont have the equipment to do it the right way I wanted to see what I could do, and maybe learn something more about flash photography. What I found out was not what I expected. The goal was to take a photo of a water drop in front of a flower and the get the flowers refraction in the drop. The setup is easy: Just punch a hole in a piece of heavy paper big enough to feed the stem of the flower through, and then tape the stem to the back of the paper. Set the paper in the sink behind the faucet and set the water to dripping rapidly to increase the chance that youll get a drop in the frame when you press the shutter release. Piece of cake, right? I knew that the shutter speed was irrelevant, since its the burst of light coming from the flash that freezes the water in mid fall. I needed to make that burst as fast as possible using the 430EX that I have, and the only way I could come up with and still use E-TTL flash control was to open up the aperture and increase the ISO. But the intensity of the light, and the duration of the burst, is also dependant on the distance between the flash and the subject. If you get the flash close to the subject the burst of light that it produces will be short. For the image in this post I had the camera on manual mode F5.6, ISO 200, and 1/200 of a second but ignore the shutter since the flash is freezing the action. Initially I was shooting at F8 and ISO 100 but the drops werent sharp enough. Notice that I changed the aperture and the ISO to vary the exposure not the shutter. Also I had the flash about 10cm from the flower (around four inches) and I used an ST-E2 remote control to trigger it. You could use the built in flash on your camera, but glare is going to be a problem. Footnote: You can also set your camera on a tripod and adjust the focus by placing a ruler under the dripping faucet (focus on the ruler with the water hitting it). Set an external flash (like the 430EX) to manual mode and set the power level to 1/16 to start. Set the camera to manual mode F5.6, ISO 200, and the shutter to 2 seconds. Press the shutter release and then, while pointing the flash at the subject, press the pilot lamp button to trigger the flash. Experiment with different power levels and the distance between the flash and the subject. You may also want to decrease the shutter speed just to cut down on long exposure noise. A tutorial on freezing motion with a flash. I found this really really useful ! Really glad you added the bit of where you started from and went to with iso and f-setting as the use of increase and decrease still confuse me a lot ! I have had a go at this type of photography and not really managed great results....now I know what I need to do...thanx ! 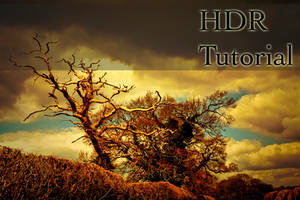 Cool shot and very helpful tutorial! Given the choice Id much rather shoot dragonflies on the ground, but there are some species that always seem to be in motion when Im out with the camera. After a few attempts at shooting them in flight, and a lot of trial and error, I found a way to take shots of airborne dragons that seems to work pretty well at least for me Hopefully there will be something in this tutorial that you can use or adapt to your own style of shooting. Ive spent a lot of time at Lago deAverno (Lake of Averno) shooting dragonflies. There are several species of them but the most common is the Violet Darter in the photo. After a while you start to pick up on their habits and quirks, and you learn when you can get close and when you're wasting your time. The trick is to find one that's busy. If they are feeding, mating, or otherwise occupied then they are less likely to fly away. If they do fly off then just freeze -if the dragon comes back to the same spot (or close to it) then try again. If the critter lands several meters away from you then look for a new subject to shoot. As beautiful as they are fragile, butterflies are one of my favorite subjects to shoot and one of the most difficult to get close to in the wild. Im often asked how I get so close to them and here is what Ive learned. Shoot them when they are distracted. Like all insects, butterflies are more likely to stay put if they are occupied. Go looking for them early in the morning when they are trying to dry out from the previous nights dew, feeding, or mating. In the heat of the day they are very active and less likely to let you get close. Dont act like a snake. Picture the image in your mind. Sometimes I like a black background because it helps to isolate the subject -very handy in situations where the background might ruin the shot because theres just too much going on. But what about those situations where you want to show the subject in its natural environment? When shooting close-ups its easy: Just set you camera to shutter or aperture priority and use a little flash for fill (about -1 1/3 to -2 FEC). The range of exposures will be limited by the amount of natural light and the ISO you want to use, but youll get even lighting throughout the frame. But what if you dont want to be limited by the available light? What if youd like to shoot at life size with a small aperture to get more depth and at the same time get some ambient light into the scene? You can use what I call the Sunny 16 Rule for Macro, but to understand why it works it helps to know what the Sunny 16 Rule is and how shooting at life size changes the settings. I've put off writing this tutorial for a while because the technique I'm going to describe falls into a category that I call a "cheap trick" but it's so useful and results in such razor sharp images that I felt it was time to commit it to words. Even though I stumbled onto it on my own I'm sure that I didn't invent this technique -it's probably as old as macro itself. I do all of my macro hand held (the critters I go after are normally too active for a tripod to be practical) and I'm always looking for a way to brace the camera. I don't crop and composition is important (keeping the camera steady helps me to place the critter where I want it in the frame). Also the flash can't freeze all of the motion in the scene. No matter how short the flash duration is it will never be short enough to give you sharp details if there is a lot of movement. I'm convinced that a lot of the image softness that people blame on diffraction is really nothing more than a form of "macro motion blur". In one of the conversations that I had with Mark Plonsky he mentioned that he had used a 500D close-up filter with his 100mm macro and liked the bokeh that the close-up filter produced. Since I had been having problems with isolating the subject in the areas where I shoot, and I hate spending time in Photoshop doing things with the computer that I could be doing with the gear, I decide to give the 500D a try. Mark, as usual, was right -the bokeh is excellent! If youve read my other posts on shooting insects (Shooting Dragonflies: Link and Shooting Butterflies: Link ) then you can photograph the majority of the critters out there. But there are a few more useful tips that I can give you for shooting bees that are different than photographing other creatures so Im listing them here.